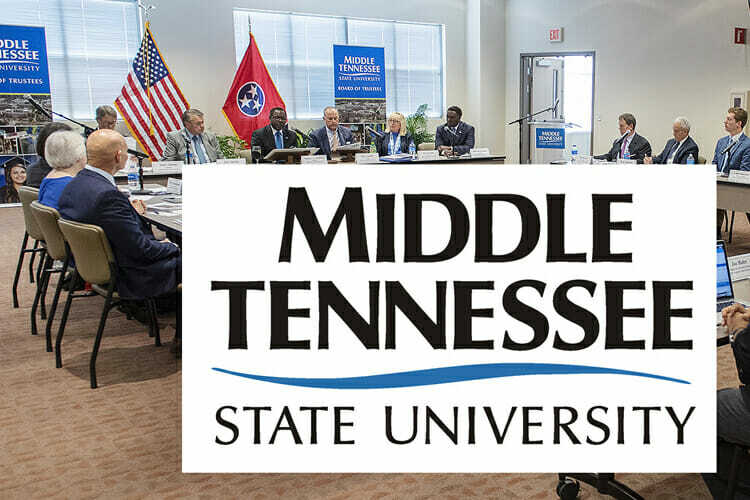 ‘Small Bodies in the Solar Sys..
‘Out of the Blue’ for April fe..
Middle Tennessee State University’s Board of Trustees on Wednesday, April 3, recommended the addition of master’s degree programs in speech-language pathology, biomedical sciences and public health. The degrees, which will ultimately go to the Tennessee Higher Education Committee for consideration, were requested by Provost Mark Byrnes and recommended by the board’s Academic Affairs, Student Life and Athletics Committee. The chair of the committee, Trustee Pam Wright, presented materials to the board that said the master’s degree is required for licensure as a speech-language pathologist. As a premier undergraduate provider of this discipline, MTSU recognized the need to also extend this graduate degree, Byrnes said. MTSU has offered an undergraduate degree in Speech-Language Pathology and Audiology for 50 years and is one of only a few universities that offers an undergraduate clinical practicum. With 144 students and a retention rate above 90 percent, it is one of the university’s signature programs, Byrnes told the committee. Byrnes also told the committee that the master’s in biomedical sciences program would serve as a post baccalaureate program for students who are interested in health professions and who are preparing for acceptance to medical, dental, pharmacy, or other professional schools. He said the degree would benefit students who have completed their bachelor’s degree, but do not yet have the credentials for acceptance. In public health education, Byrnes told the committee that the master of science is often referred to as an academic degree while the master of public health degree is considered an applied or professional degree. “The MPH designation is the norm in public health education at the master’s level and is much more attractive to students who intend to terminate their education at that point and transition into public health practice,” Byrnes said. The board elevated the current master of education in professional counseling to a specialist degree. Freshman applications as of April 1 are up by 12 percent and admits from that pool are up by 16.8 percent during the same time last year, President Sidney A. McPhee reported to the board. The board established a revised process for faculty to refer students accused of academic misconduct, discuss possible sanctions for repeat offenders and establish a procedure for adjudicating academic misconduct for graduate students. The board promulgated a rule defining residency of students to be used for the purpose of determining whether or not out‐of‐state tuition shall be charged to a student enrolling at MTSU. The most significant changes related to student veterans and the benefits they receive, classifying many of them as in‐state for tuition and fees. Recognized four outstanding students graduating in May: Kirsten Cunningham, who was named a national Goldwater Fellowship; Honors Transfer Fellow Robert Owen; Alex Johnson, who recently completed one of the greatest individual careers of any Lady Raider in program history; and Brent Stockstill, who was just one of three players nationally last year who entered the football season with a master’s degree already in hand. The board was informed of the consolidation of the master’s in science and teaching in mathematics and the master of science in mathematics and the termination of the post-master’s certificate in family nurse practitioner.